Keep your style vibrant in the ML Monique Lhuillier™ One Shoulder Long Sleeve Blouse. Relaxed fit with smocked waist. One long sleeve with smocked wrist cuffs. 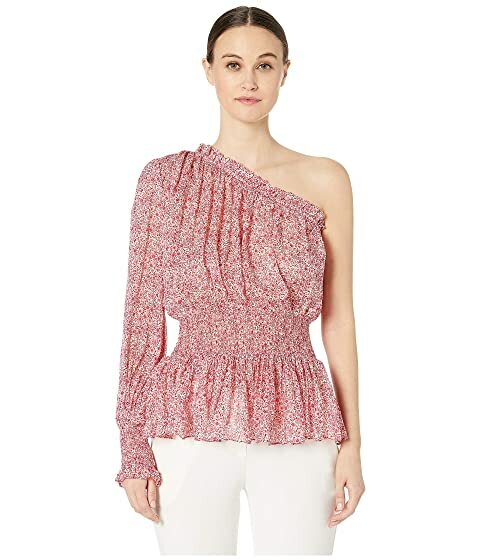 We can't currently find any similar items for the One Shoulder Long Sleeve Blouse with Waist Detalining by ML Monique Lhuillier. Sorry!